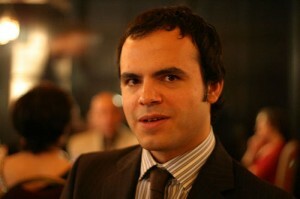 Hossein Derakhshan is a writer. He is a Canadian-Iranian. He is in a jail cell in Iran, facing execution. This is intolerable. Derakhshan started one of the first blogs in the Persian language. Now 35, the “blogfather” is credited with starting the “blogging revolution” in Iran with his criticism of Iran’s political and religious establishment. In 2006, he used his Canadian passport to travel to Israel, where he spoke about reconciliation between Israel and Iran. Strangely, Derakhshan later renounced his reformist views and went on to endorse President Mahmoud Ahmadinejad’s anti-American policies and crackdown on dissidents. Derakhshan’s conversion, however, didn’t save him from being jailed in October 2008. He spent two years in solitary confinement, until, in June, he was tried on various charges, including “collaborating with enemy states, creating propaganda against the Islamic state (and) insulting religious sanctity.” Earlier this week it was reported that the prosecutor in his case has called his execution.